In today’s business environment, owning the right phone is crucial. 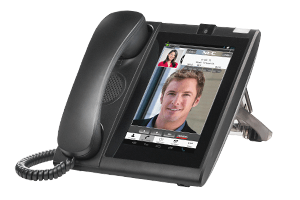 With employees working remotely or zipping between meetings and meeting rooms, the modern desk phone needs to connect them with the business and their customers without downtime or a call-back. 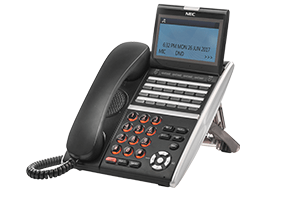 NEC makes communication instantaneous with a range of desk phones that combines modern functionality with ergonomic lines. 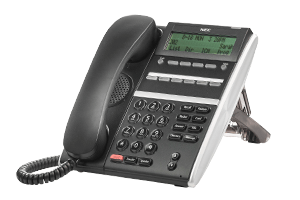 With illuminated displays, navigation cursors and hiqh quality audio, NEC desk phones add an element of style to your business communications. With a wide range of customisable features, these telephones are flexible, easy to use, and provide you with investment protection. Whether your business communications are pure IP or any combination of IP and digital, NEC provides a full line-up that can accommodate your needs. With common user interfaces and functionality available across the range, a mix of models can be deployed without the burden of additional user training. 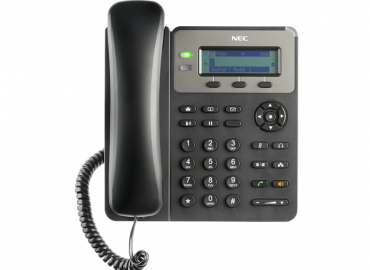 Flexible, easy to use and built to withstand the rigors of the modern workplace, NEC desk phones will give your business a genuine edge.